Alarm Doctor boasts over 20 years’ experience in handling alarm and security systems of all types, of all ages and even those installed by third parties such as other companies or yourself. We can tend to over 99% of all alarm faults on the spot, with some services taking as little as just thirty-five minutes to complete! Each of our team members arrives fully equipped, with all of the tools, ancillaries and spare parts required to have the job done, there and then. That means no need for return visits and a more efficient alarm service for both of us; you and our security experts. Have your home security systems repaired, installed, maintained or upgraded by Alarm Doctor to ensure the highest levels of protection and the very best in workmanship. We’re proud of our unparalleled attention to detail and due care, and our customers see the benefits too – no loose wires, no ugly smudges, no holes where they shouldn’t be and no wonky fixtures. We test as we go, making sure that every aspect of your alarm is doing what is should and, a final assessment will confirm that your systems are fully functional and working at their best – if you need certificates for insurance purposes, just ask! Call before 9:00am and we’ll do our best to see you on the very same day! We provide a range of B2B services to commercial clients across New South Wales to assist with anything from day-to-day security management to scheduled maintenance and beyond. Ask us about our Strata Management services, designed to assist any body corporate, developer or property owner to effectively manage their security systems, keep up-to-date with battery and expendables replacements, mitigate alarm and back-to-base reports and more. Our New Build Serviceis aimed at providing developers, at any stage of their project, with integrated alarm and security system installations. Whether to meet the needs of your upcoming development applications or simply maximize security, we can arrange a seamless and cost-effective installation, tailored to you and your developments. NEW: Live on or near a potential flood plain? Trying to get Development Approval? We can help! Alarm Doctor has joined forced with Flood Detection Systems to provide clients across New South Wales with an unrivalled flood detection solution, a system that not only provides early warning for imminent floods, but a service that can help individuals, contractors, engineers and architects to hasten the development approval process and even help to lower insurance premiums. Click here to find out more about Flood Detection Systems. Want an idea of how much our products and services cost? Click here to take a look at our pricing guide. Having your alarm systems professionally installed could be the difference between a system that works and one that doesn’t, and a property that looks like a home, or a construction site. Alarm Doctor has been installing alarm systems of all shapes and sizes for three decades and, in each property we service, we make it our prerogative to not only ensure the systems we install are 100% operational, but that the rest of the property is too. That means no mess after we’re done, no holes where they shouldn’t be, no dangling wires, no skew sensors or cameras and by no means would we leave without testing everything first. Whether you’re tired of your old alarm system or you’ve moved into a new property that’s currently unprotected, Alarm Doctor’s technicians will be able to step in and perform the full installation service without even breaking a sweat. Our installations are second to none and we take great pride in being able to offer our high-standards in service from as little as $150 +GST. Get in touch with us today by calling 1300 23 00 23 or click here to book online. In the event that your alarm suffers a fault, or your keypad is beeping an you have no idea why, we’re at your service. Alarms can develop faults for a variety of reasons, ranging from improper original installation to technical faults with your area’s power supply and a host of other problems in between. We highly recommend that you DO NOT disconnect your alarm’s power supply, even if it is making a great deal of noise and causing a nuisance – It’s much better to just get it fixed as soon as possible. If you disconnect your alarm’s power supply, it will begin using its back-up battery. When the battery runs out, your home will be unprotected and you will need to have the battery replaced. A problematic alarm is more than just a nuisance to you and your neighbours. Alarms that trigger often, especially as a result of a technical issue, become less of a priority to police. What happens when you have a real emergency, where your alarm is supposed to be taken seriously? You’ll have more problems than Jay Z… and that’s saying something. Or if it would simply be more cost effective to replace the system rather than repair it. Keeping your alarm system fit and healthy is the easiest way to ensure that your home, offices and family stay protected. Additionally, by regularly servicing your systems, you can reduce the risks of more serious faults developing over time – faults that may require a great deal more focus and attention to handle than the minor issues that arise from general use within reasonable timeframes. Whether you’re interested in having your home or commercial security systems booked in for regular maintenance or you’d like a once-off inspection, our Alarm Doctors will be more than happy to oblige. You should also take into consideration that some home and corporate insurance companies will require that you have your existing alarm systems serviced at least once a year, for domestic customers and twice annually for commercial clients. As such, maintaining your alarm systems won’t only protect your from potential burglaries, but may help in being able to claim back anything that was stolen if the criminals are successful. Alarm Doctor has been maintaining alarms and security systems of all makes, ages and models for thirty years, making us some of the most qualified technicians available in Australia. If you want your alarm projects seen to properly, then we strongly recommend you get in touch with us. Call us today on 1300 23 00 23 or simply click here to contact us online. As with most modern technologies, the hardware tends to last a very long time, but the software that runs it needs updating. With the latest alarm systems, it’s as easy as running the latest patch and ensuring the installation was successful, but with older models, the upgrade service is more of an overall upgrade than a simple software update. As technologies evolve and advance, so too do the tools that criminals and tech experts use to overcome their security measures. The same is true for your alarm system, with cracks, master keys and serial de-crypters being released online for older versions, free of charge. Just like you’d update your computer or smartphone to protect its contents from malware and prying eyes, your alarm system can become susceptible to decryption as time goes on and needs to be updated if you want to stay protected. Depending on the age, make and model of your alarm system, some insurers will require that you upgrade your systems to comply with their policies, so make sure you check with them as to what those requirements might be – otherwise you stand the risk of not only suffering from a successful burglary, but losing your chance to make a claim on the assets you lost in the process. If you’d like to have a trained professional assist you with your alarm upgrade, call Alarm Doctor today and one of our friendly technicians will be happy to guide you wherever necessary. You can reach us by calling 1300 23 00 23 or by clicking here to send an electronic enquiry. Either way, we look forward to hearing from you. Back-to-Base Monitoring is a premium service that customers can add to their existing layers of home or office security – it requires that you either already own an alarm system that supports Back-to-Base monitoring or that you have one installed prior to setting the service up. Back-to-Base Monitoring is essentially an additional connection from your Alarm’s keypad to our 24/7 monitoring station. From there, a team of technical security experts work around the clock to ensure that every facet of your system is fully operational, going further to alert you to any potential issues or provide on-the-ground support in the event that your system succumbs to a major fault or your property is in immediate danger. 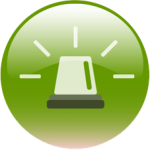 Immediate notifications of any potential issues with your system, by text, phone call or email. Full diagnosis and remedial treatment for physical damage to or interference with your system. Vacation and Getaway schedules that allow your home to remain protected while you’re on holiday. Full control over your alarm, making it easy for us to shut it off in the event of a false alarm, while you are away from home – meaning happier neighbours and less chance of potential burglars being made aware of your now empty house or offices. A deterrent in itself. Professional burglars, or at least those who have been stealing property for some time are aware of how difficult it can be to break into a home with Back-to-Base monitoring and, as such, simply having it installed is enough to prevent your property from becoming another statistic. If you’d like to have Alarm Doctor’s unrivalled Back-to-Base Monitoring solutions installed in your home or offices, then please call us today on 1300 23 00 23. If you’re short on time, you can send us a quick message and we’ll get back to you with all the information you need… just click here. Your alarm’s back-up battery is essentially the most important element of the whole system. Why? Because in the event of a power cut, whether it’s been cut by accident, by the council or by a potential burglar, your back-up battery is the only thing keeping your alarm functional. Unfortunately, back-up batteries are prone to wear and tear due to their high output and, depending on your area, attempted vandalism or disconnection. As such, it’s imperative that you have your alarm’s back-up battery regularly inspected, maintained and replaced if need be. Additionally, insurance companies around the country require that homes and offices protected by alarm systems, have their back-up batteries serviced at least once, annually, for residential clients and twice a year for commercial customers. This requirement is in place to ensure that your property remains protected and, in turn, allows clients to make successful claims in the event of an intrusion, theft or damage to the property. We stock back-up batteries for all major makes and models of both domestic and commercial alarm systems, including wireless and hard-wired models. So, if you’re looking to have your back-up batteries serviced or replaced, please call Alarm Doctor as soon as possible on 1300 23 00 23. We can have a technician made available for back-up battery services in as little as six hours, depending on the time of your call. If you would prefer to reach out to us online, please click here to use our contact form. While we don’t like to admit to ourselves just how possible it really is that one night a burglar peaks their head into our bedroom as we sleep, we need to be prepared! Alarm Doctor’s Guard Response service aims to do just that by adding another layer of security to your property. When your alarm is triggered, within 30 seconds you will receive a notification asking whether you would like to have a guard dispatched to the property. If we hear nothing from you, a guard will aim to arrive within 5 minutes, depending on your distance from our base. Having undergone rigorous training, our guards are conditioned to enter the scene with your safety and that of your family at the forefronts of their minds, all whilst calculating the most effective means of capturing and detaining the criminal in question until the police arrive. This gives rise to a safer environment for you, your family and your business, both before and during a break-in, thus making our Guard Response Service a highly applicable and incredibly useful tool to have at your disposal, should you ever need it. If you’re interested in finding out more about our guard response service, the associated costs and how to go about getting set up, please call Alarm Doctor today on 1300 23 00 23. One of our technicians will be ready and available to answer any questions you might have and guide you through the initial set-up procedure. Prefer to contact us online? No problem! Just click here to use our contact form. Floods cost the Australian government over $500 million in damages every year, with areas closer to rivers or potential flood plains resulting in significantly higher costs when the disasters strike. The average price to repair a bungalow basement after flood damage is set to between $40,000 and $60,000 – a price simply too high for some people to be able to pay, especially after floods have also crippled local commerce. Flood Detection Systems have been incorporated into Alarm Doctor’s service portfolio following NSW’s latest floods in 2016, resulting in hundreds of thousands of dollars in damages for residents alone after being hit with 225mm of rain in just 24 hours. FDS’ solutions are designed to be long-lasting and dependable, coming with an integrated anti-vandal cage and special-polymer casing to ensure it remains protected against the elements and cracking effects of the sun. The sensors are designed to notify residents or occupants of a given property of an impending flood by detecting the presence of rising waters. Alarm Doctor can seamlessly install any number of flood detection units across a distance of as much as 1.2km from the main alarm panel, meaning that you can be notified of flood waters well before they eventually reach your home or offices. Additionally, by installing flood detectors in basements, customers can benefit from crucial evacuation time for both themselves and their belongings, before the waters cause too much, irreparable damage. FDS’ flood sensors can also be integrated into contractors, engineers and architectural practices to give rise to faster development approval rates, particularly for any developments planning on being built within a designated flood plain or potential flood hotspot. If you’d like to know more about Alarm Doctor’s flood detection solutions, please don’t hesitate to get in touch with us by calling 1300 23 00 23. We’ll be happy to answer any questions you might have and go on to provide you with all the information you require to make an informed decision about installing flood detection systems in your property. Alternatively, if you’d like to contact us online, please click here. If you’ve noticed that your alarm’s keypad is displaying messages like “critical error” of “fatal error”, it’s beeping like crazy, your siren is going off all the time or there is simply nothing being displayed on the keypad, it’s time to call the doctor! Alarm Doctor and our technicians are available 24 hours a day, 7 days a week to assist with emergency callouts. Please bear in mind, however, that our standard hours of operation are 8:30am-5:30pm Monday-Friday. Any callouts requested before or after these hours are deemed as emergency callouts and tend to have a slightly higher fee than those services carried out during normal business hours. If you think your alarm is on the fritz and it’s going to put you, your family or your assets in danger, get in touch with us immediately and we’ll be there to help you as fast as we can. Alarm Doctor receives upwards of 20 emergency calls every month, and in every case we have been and will continue to be able to tend to any and all issues that may be causing the problem. Don’t let a faulty alarm be your downfall – call Alarm Doctor today on 1300 23 00 23 to have us by your side in an instant. If you’re unable to reach us over the phone, please send us an electronic enquiry by clicking here. And don’t worry, our inboxes are monitored 24 hours a day!